Personal training, once a privilege only the affluent can afford, is fast gaining acceptance and popularity among individuals who want effective, personalised programmes to achieve their fitness goals. Today, an increasing number of people — novices and veteran exercisers alike — are working with personal trainers, because they offer a practical and affordable means of getting and staying healthy. Customised to meet your individual needs and achieve your desired results, every Active Red personal training programme is managed by a private coach. 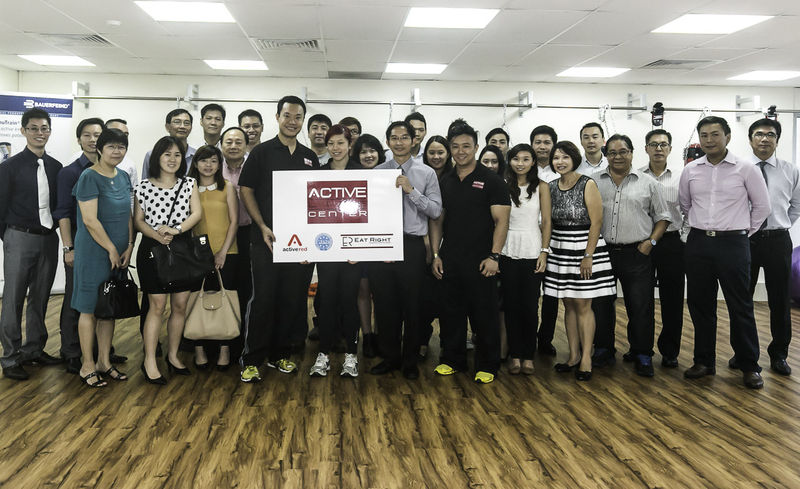 Active Red's personal trainers wear many hats and play many roles — serving not only as coaches, but also as confidants, role models, educators and motivators. •	Regular sessions of two to three times a week You are more likely to stick to your programme because you are accountable to someone else (your personal trainer) for your exercise time. •	Occasional/Periodic exercise sessions You are the busy executive or veteran exerciser, seeing a trainer only on occasion to update your existing exercise regimen, or for periodic fitness testing. 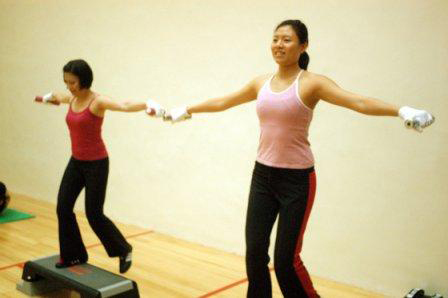 Personal attention during exercise is the primary role of personal trainers. From the fundamentals of strength and aerobic training to the proper and safe execution of various exercises, you will be taught a balanced approach to fitness. Personal training is not a luxury. It's a great investment of your time for your health and well-being. 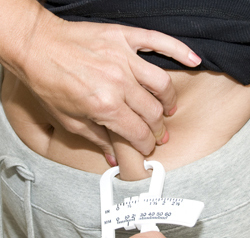 At Active Red, we believe that results aren't always measured in pounds and inches. A great fitness experience will restore your mind-body equilibrium, and leave you feeling radiant, energetic and ready to meet the demands of your daily life. We are your "one-stop shop" for all your fitness training needs. 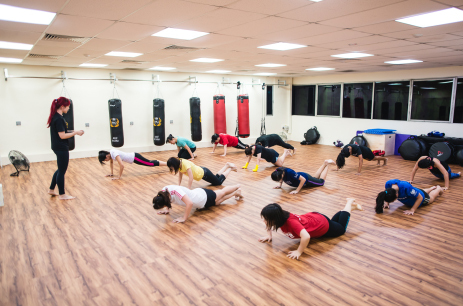 We offer a full range of individualised programmes, from weight loss kickboxing to stretching classes. If it's a challenge to fit exercise in your daily routine, you will appreciate the fact that we can bring fitness to your doorstep and work around your busy schedule. Whether you're looking for an intense early morning "perk me up" training session or a late night run, we have the solution for you. 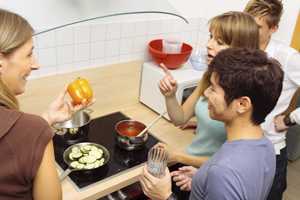 Your current eating patterns, food choices and lifestyle will be assessed, and we will work with you to set realistic health and wellness goals. You will also be provided with practical tools, such as meal plans and health food options, to assist you in fulfilling your goals. "The size of the matter"
Anthropometry is a method of measuring the size of various body parts and how much underlying fat there is. The aim is to get an idea of a person's body fat percentage, body type and risk of developing conditions like diabetes and heart disease. Whether you're an athlete or someone trying to manage your weight, anthropometry is the ideal way to measure your progress as your body responds to diet and exercise. "Have fun working out with friends"
Inject fun and enhance intensity to your functional training with STROOPS® Performance at Active Life Center. Designed to improve your performance - acceleration, stride length and stride frequency through resistance and over-speed training, Stroops® are changing the way athletes and the general public trains. Targeting specific muscles in athletic performance creates muscle memory. Working with Slastix® technology the elastics function as an extension of muscle making movement safe & effective. 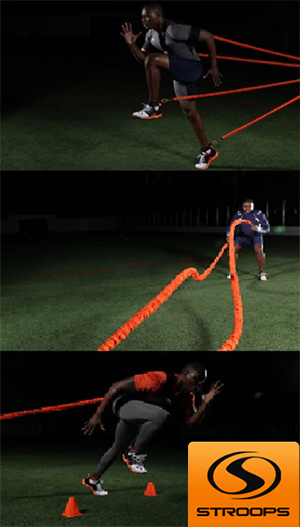 In the USA, Stroops® is a leader in both atheletic performance as well as general functional training. Tri-Planar movement allows our bodies to move efficiently in daily life. CrossCore® Rotational Bodyweight Training™ was invented to include the Transverse Plane - the body’s ability to rotate as nature intended, which is neglected by most bodyweight training . Add a new dimension to your functional training with CrossCore® Rotational Bodyweight Training™ - incorporate rotational movement to all your favorite bodyweight training exercises. Increased instability improves balance and mind/body connection. This will also enhance core inclusion, strength, agility and performance. Move efficiently in daily life today! In fact, Robert Downey Jr. used CrossCore® Rotational Bodyweight Training™ to get into super shape when he resume his role of Iron Man in The Avengers as well as Iron Man 2. Increase your fitness level by combining aerobic training and resistance training with calisthenics (body weight exercises), rubber tubing work and medicine balls. You will also participate in various drills to get your adrenaline pumping. A great calorie-burning workout! Pilates is a core-strengthening workout that focuses on gentle, small movements as well as specialised exercises to lengthen your spinal muscles. Core strength is at the heart of everyday movement, and regular Pilates work has been proven to help alleviate chronic pain such as backaches, heighten body awareness, improve balance and coordination, and facilitate proper posture. People of all ages and health conditions can benefit from having flexible and pliable muscles. This low-intensity programme helps you to improve your physical flexibility through simple, effective stretches that will also relieve stress and enhance your sense of well-being. This strength-training workout using exercise tubing is designed to shape and tone the muscles without building muscle size or bulk. Great for clients who want to embark on a weight-loss programme — it helps build and maintain lean muscle tissue, essential to boosting metabolism. Strong, toned muscles increase your metabolism and burn calories, hours after your workout. This workout, which also includes flexibility and cardiovascular conditioning, features exercises that are easy to learn and with minimal impact on your joints. 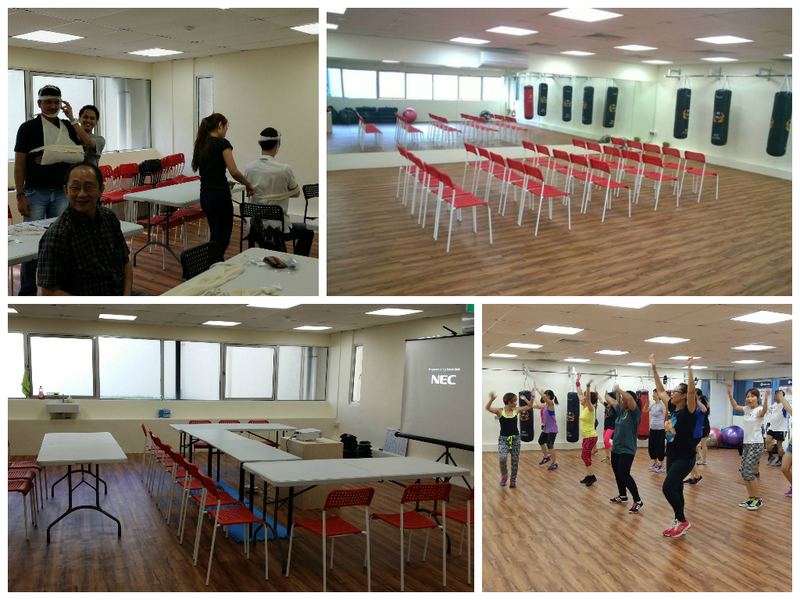 "Bringing fitness to your doorstep"
For our corporate clients' convenience, we are pleased to deliver our programmes to the convenience of your office premises. This programme is specially put together to offer corporate clients a complete mind and body approach to improving the health and productivity of their employees/students. Please contact us for more information. 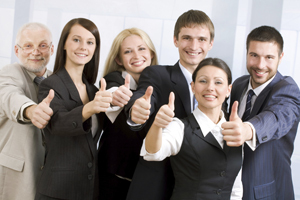 Our passionate team of highly energetic professionals will orchestrate winning solutions for both you and your corporation. Engage in highly motivating and exciting adventure events and team-building programmes. Our portfolio of themed events and concept games will break the monotony of corporate seminars and conferences. Our range of corporate team-building events and activities are suited for groups of five and more, as well as full-scale family day-size participation of 50 to 300 staff. Contact us today for more information. 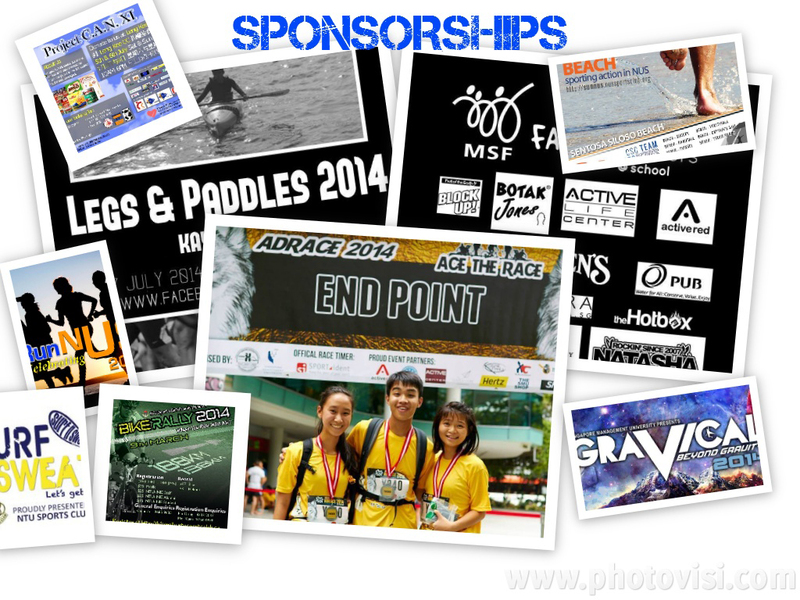 "Making your event stand out"
Event sponsors are significant to a successful event. Let us help you ensure your event stands out. We have successfully sponsored numerous sporting events of various sizes. We can also add sparkle to your organisation's annual Dinner. Contact us today for more information on our sponsoring packages. 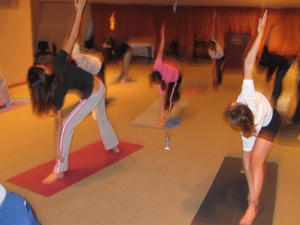 Active Studio @ Active Life Center has an approximate 1,500 sqft min. space which is spacious for your event/workshops/seminars needs. Conveniently located at Far East Shopping Centre, it was a perfect location for your clients or students when you book your event space with us.